Researchers of the laboratory "Medical ultrasound equipment" of Peter the Great St. Petersburg Polytechnic University (SPbPU) developed a high-tech device-transformer for ultrasound examination, named "Ultrasound mobile". The new equipment is the combination of three modifications in one device. Currently, each modification functions separately in the medical centers, the scientists of St. Petersburg Polytechnic University became the first who combined it into a single hardware complex. Thus instead of two types of vehicles (stationary and portable), medical institutions can use single equipment for different purposes and in different wards. For example, in the inpatient hospitals, doctors will be able to do a high-precision study using the full configuration of the equipment. At the same time in the admission hospital ward or emergency room, where the speed of decisions is important, the mobile version of the equipment will be useful. In addition, the handset will be irreplaceable for doctors who make house calls. The image quality obtained by "Ultrasound mobile" depends on the number of physical channels which simultaneously receive information and create the image. Increasing the number of channels, the quality of the obtained image is getting higher. In the device developed by the scientists of Polytechnic University, depending on the modification, the number of channels varies from 48 to 192, providing a high image quality. "The device-transformer is 80% ready: its developed ultrasonic essence should be inserted in the finished device. We have already conveyed our vision of the medical equipment to the industrial partner, who should produce the final version of the equipment, "- said Alexander Berkovich, head of the laboratory" Medical ultrasound equipment" SPbPU. The industrial partner of the project is JSC "Northern Press". The project documentation will be provided to the industrial enterprise, so the serial production of the device will start. 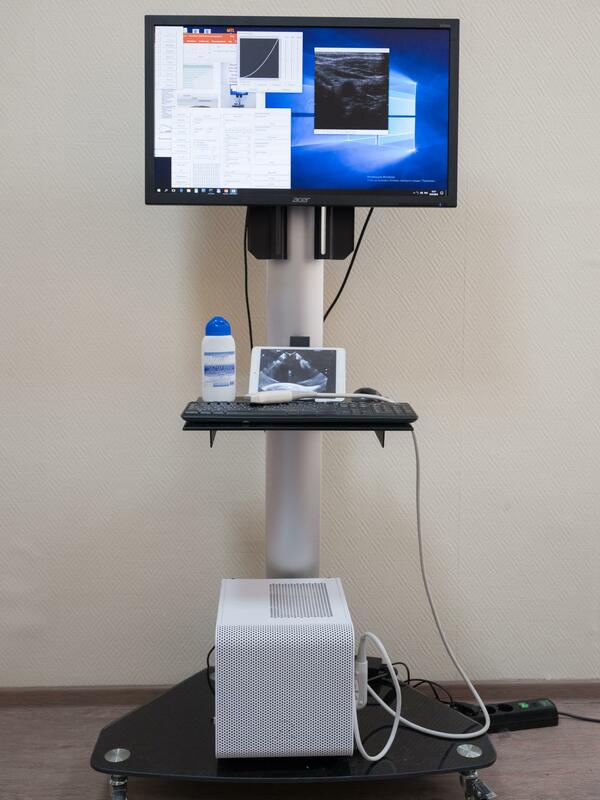 The device-transformer "Ultrasound mobile" will be implemented in medical institutions in Russia in 2019.